I met Randy and Brooke Hester last year at Newsom Grape Day. We talked briefly and I learned they were native Texans but currently living in California while making wines there with the name Lightning Wines. However, they would soon be moving back to Texas and had some ideas on what they wanted to do when that time came. I heard from Randy earlier this year when Edible Marin & Wine Country had a post on winemakers who were in California that moved there from somewhere else in the South. 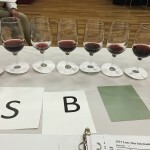 Soon after, the Lone Star International Wine Competition held their competition and Lightning Wines won three medals, a Gold for their Syrah and two Silvers for a Grenache and CdP Blanc. I thought it was time to find out more about the Hester’s story and plans on moving back to Texas. 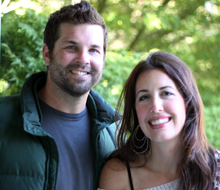 Randy and Brooke Hester moved from Houston to Napa Valley in 2006. They left behind their friends, families, careers, and everything that was familiar and safe to them. Randy said, “I started taking classes at Napa Valley College right away. Meanwhile, Cakebread Cellars offered me an internship making $12/hour, which I was ecstatic to accept. After that harvest, Cakebread hired me full time, and I remember feeling like a first round draft pick. I learned so much from that company and from the people there that I will never forget. They taught me what it takes to work in a successful winery. “My next big win came in 2008 when I accepted an internship with Colgin Cellars. If Cakebread taught me how to really make wine, Colgin took my skills and my knowledge to a whole other level. At Colgin I learned that everything matters. Every move you make in the winery can be detrimental to the final outcome. To this day, I plan, prepare, and execute my movements with that in mind. Like the guy who hired me there said, ‘Just make sure you don’t mess it up.’ Enough said. 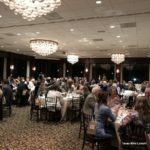 “I worked at Caldwell Vineyard in 2009, and everyone there made me feel like I was part of the family. It was my first exposure to high-end custom crush, and I was in awe of the group of winemakers that I was working with. I just concentrated on everything I had learned at Cakebread and Colgin, and tried not to mess anything up. “One of the winemakers from Caldwell, Helen Keplinger, actually referred me to Mike Hirby, then the rock star winemaker at Realm Cellars. I worked for Realm in 2010, 2011, and the first half of 2012 as their day-to-day winemaker. While at Realm, I also had the opportunity to work with Michel Rolland, who was their blending consultant. The education and experience that I accumulated during those sessions is invaluable to me, and a highlight in my winemaking career. 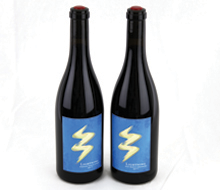 Mike left Realm in 2011, but not before helping me find my first ton of Grenache to start my personal label, Lightning. 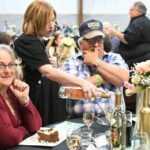 Since Randy and Brooke said they were moving back to Texas some time, I asked Randy about his plans on that and making Texas wine. 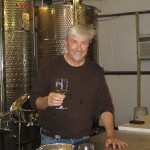 Randy replied, “In 2006, my goal was to learn to make wine at the highest levels. Then I could take all of that knowledge and all of those experiences back home to Texas in order to help raise the level of the entire industry. The Texas industry is not far from a significant breakthrough, and it remains my goal to consistently make wine in Texas that is respected on the world stage and consumed by wine drinkers everywhere, not just in Texas. “Making Texas wines is the first step of the last phase of my ten year plan here in California. By the start of 2016, I will be selling my Lightning wines and my Texas wines in Texas and I will be moving back to Texas for good. I will continue to make wines in both states, for both of my personal labels and in various consulting capacities. 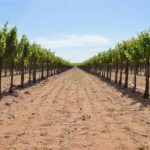 I hope to work with several Texas wineries and make a real push for national and international recognition for our industry, as well as with personal investors who wish to have their own label. 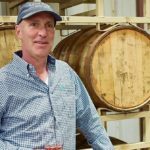 I learned from Randy when he was back in Texas recently that the Texas winery he is working with is Lost Oak Winery and he was working with owner Gene Estes and winemaker Jim Evans. 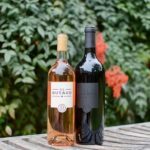 Randy said for his personal brand Lightning Wines, he will make close to 20 tons of small batch, vineyard designated Grenache from different growing regions around California, as well as about 55 tons of Sauvignon Blanc for Naked Wines. So he is officially working on wines in both Texas and California. After hearing how Randy and Brooke have done in California and the plans for Texas, I personally am looking forward to seeing a new Texas wine label available soon in Texas. I’m so excited to get these two back to Texas! Their Grenache is so delicious & I can’t wait to taste their Texas wine. Thanks Randy. Looking forward to trying more of your future wines! 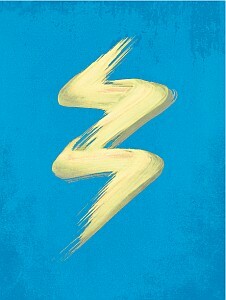 Oh my gosh, we love Lightning Wines! 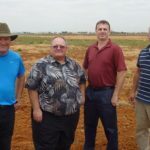 What a great blog post! I can’t wait to try their Texas wines. Hey, thanks Whit! Looking forward to queso and sangrita’s with you at SOCO Hop Doddy next time we are in Austin. Stay in touch with the Texas wine scene on Texas Wine Lover. A nice article on two really neat people. My wife & I have enjoyed all of Lightning’s wines – the CdP Blanc & Grenache the most. Wow, thanks so much for the kind words and support Mateo. Keep following Jeff, the Texas Wine Lover, to stay in touch with the Texas wine industry too. Thanks for chiming in, and drink more Lightning Wines! As a native Texan I will be anxiously waiting! Welcome back. We’ll be looking for you Jurhee. Look us up if you find yourself in Napa at any point. Is this Bill Hardin of Cap Rock? My original wine mentor at Glazer’s? It’s been a long time since we sat down with grocery store Chianti at Nick’s Sports Bar. See you in Brownfield next month. I will buy any wine this dude makes. He and his wife are true talents! Wishing them the absolute best and so looking forward to following their TX project…though Napa will surely miss them! We ain’t gone yet! Thank you Lindsey!! I enjoyed the article so much! Congratulations on your success! Looking forward to seeing you & Brooke when you return to Texas!